The title pretty much says it all .... This grinder works really well but it is pretty much going to only hold enough grounds for a single cup of coffee ... at least for the size coffee I drink. Gonna have to fill it up twice to have enough grounds for the french press I use to make a cup for the wife and I. This is my first shot at grinding my own coffee ... I may up it another notch and roast my own coffee as well..... Then I can offically be a coffee snob. Hello Robert! Thank you for your feedback. We are appreciate it. All the best, FrenchPressCoffee.com. A very well made product. The number of turns required to grind coffee is significantly less than my previous grinder. A consistent grind size. 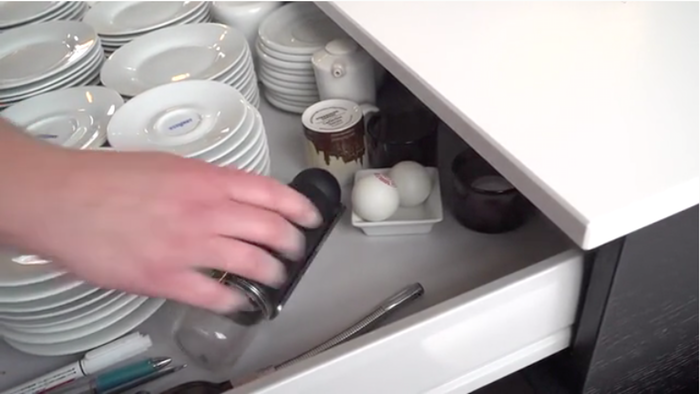 The major issue is the instability of the grinder, especially with the handle on. I now understand the need for the Brazil option. A definite upgrade. Very pleased with the grinder. Smaller capacity than the Hario Skerton knockoff I was using, but it grinds so much faster that I can still prepare a large amount of coffee in the same or less time. Really easy to use and really quick. My fiance can even use it easily! The only other thing is that my best friend commented that it looked like a... well. Something unmentionable. Really happy with how it feels in the hand and how well it works. Does coarse grind really well. Reduced the silt in the bottom of my cup dramatically so I can actually enjoy the stuff again. Worth my money for sure. Thank you Christian for your feedback. Enjoy your coffee! When combined with the Columbia Coffee Grinder's CrushGrind BARISTA technology, its design appeal and technological aspects set a new standard for manual grinding coffee equipment and enjoyment. The Columbia Coffee Grinder is a project three years in the making. 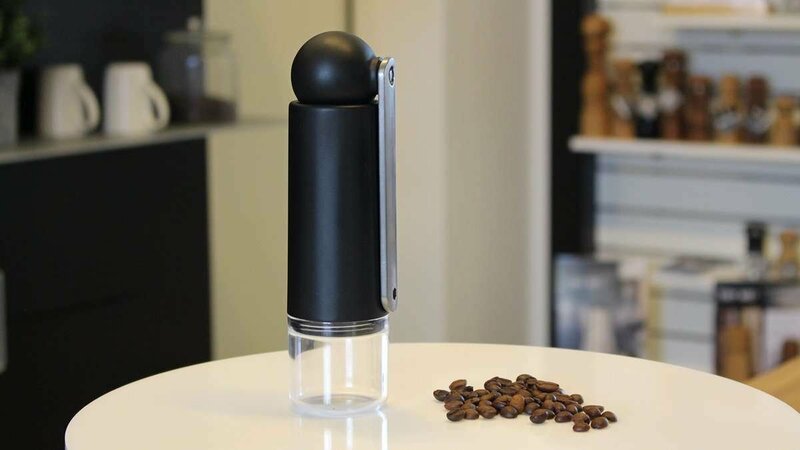 This coffee grinder makes use of innovative new ceramic coffee technology that is breaking ground in the way coffee aficionados prepare and enjoy their favorite brews. The makers of the Columbia Coffee Grinder were inspired to create the best manual coffee grinder on the market. In their efforts, the Columbia operates as a handheld grinder to grind everything from French press to espressos to Turkish coffee with the highest output around. The grinder is used to create freshly ground coffee, superior in taste and flavor to pre-ground coffee. The Columbia Coffee Grinder uses the BARISTA mechanism in part of its technological approach. 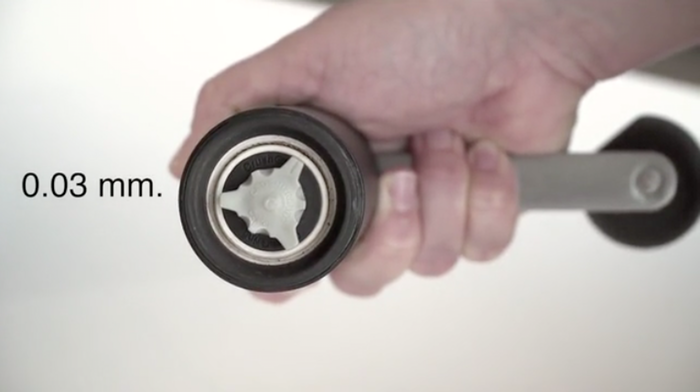 This mechanism has been created especially for handheld use so that it requires less force while grinding to alleviate too much stress on the coffee grinds. At the same time, it outperforms above the competition in terms of output to give users a better grind in less time than the average grinder. 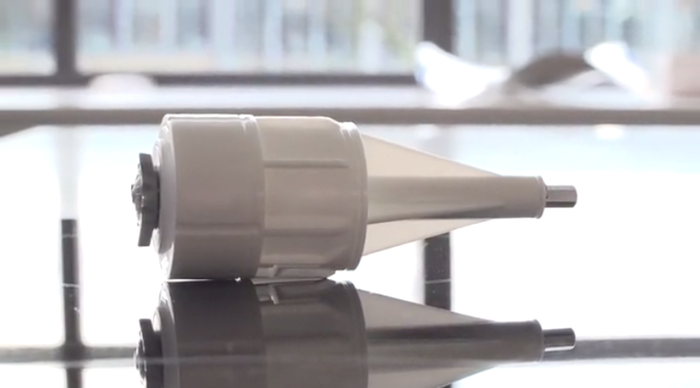 The grinder has an easy fill option along with precise settings for coarseness changeable with a simple twist. To match its cutting-edge technological approach, the Columbia utilizes a sleek and ultra-compact design that looks at home in any design influenced modern kitchen. Its constructed out of an industrial ceramic which is both stylish and extremely durable and harder than steel. The Columbia also benefits from a handheld design, so it's small and portable enough to be through into a bag or a picnic basket for on the go brewing. The Columbia Coffee Grinder is the result of years worth of research and development with the aim of producing the best manual coffee grinder around. BARISTA mechanism - Less force when grinding and at the same time out-performs on output per turn giving you a better grind in less time. The Columbia Coffee Grinder uses patented CrushGrind BARISTA technology which allows users to grind tasty and fresh coffee grinds by hand with less force which produced better tasting coffee. The grinder also outperforms by producing better grinds in less time which offers a better approach for fresh coffee. The Columbia is made to match any contemporary and fashionable kitchen. The grinder features a sleek black monochromatic silhouette with an easy to grip handheld grinder. 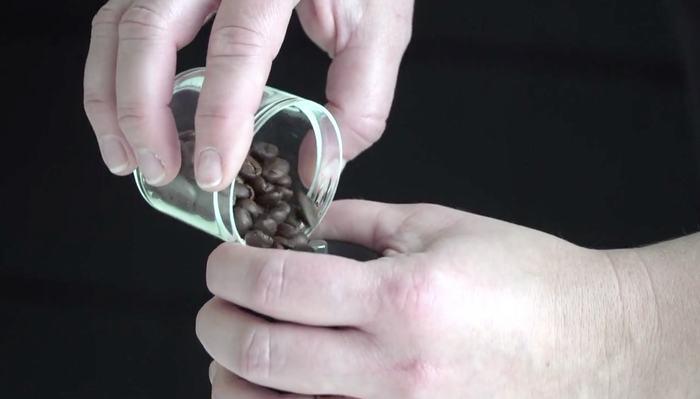 It also incorporates a transparent easy to fill receptacle so you can see your beans move into the grinder from the top. 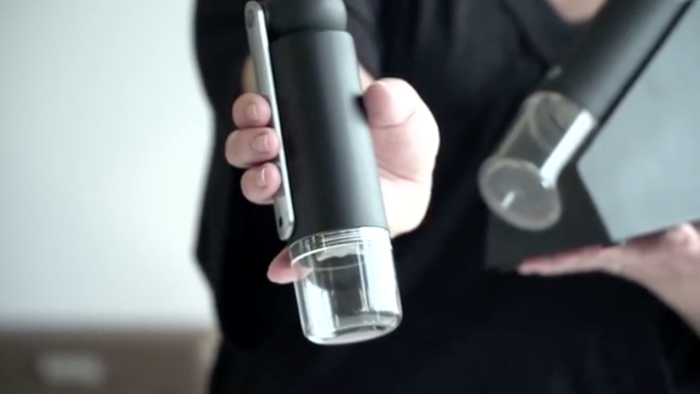 The grinder is compact and in a handheld design. Its handheld grinder function can be folded in so that it is extremely portable. It's small and transportable enough to be thrown into a backpack or picnic basket to take anywhere for an on the go coffee break. The Columbia Coffee Grinder is made from a special industrial ceramic that is not only stylish but also incredibly durable. The material is stronger than steel allowing you to benefit from its strength in brew after brew.